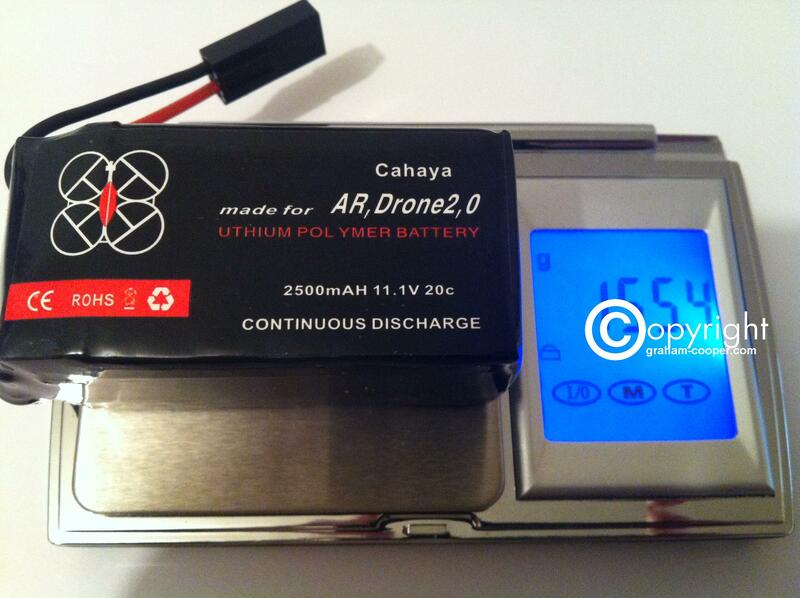 Just received a Cahaya 2500mah 20c lipo to see how we go with one of these. At least with this battery, it read totally evenly balanced unlike the ZOP Power one I tried from elsewhere last time. So this Lipo is looking promising, and shall as I always do, give it a nice gentle 100mah over night charge and then test it. Weight wise this Lipo came in at around 155 grams. I read that some are saying they are getting around 22mins flight time, but as I have the Miru RC Mod and Parrot GPS Flight recorder, I am not expecting that long without taking the Lipo too low in voltage. 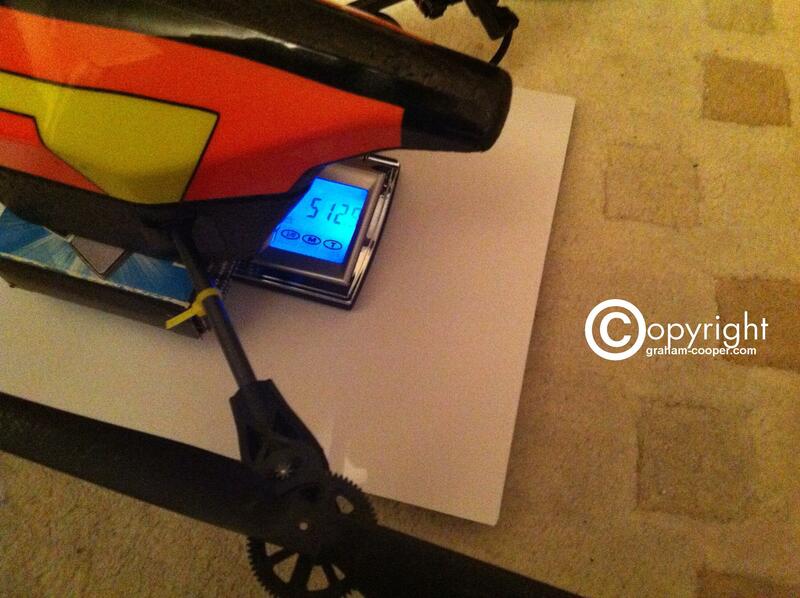 For interest with this Lipo installed the all up weight of my AR Drone is now 513 grams. Stock AR DRONE 2.0 is about 380 grams with outdoor hull. Will post a link where you can buy this from if it performs okay. For sure at 513 grams, prob getting very close to being too heavy (Especially in wind) as it will prob drop like a brick and wont have enough power to fight wind. 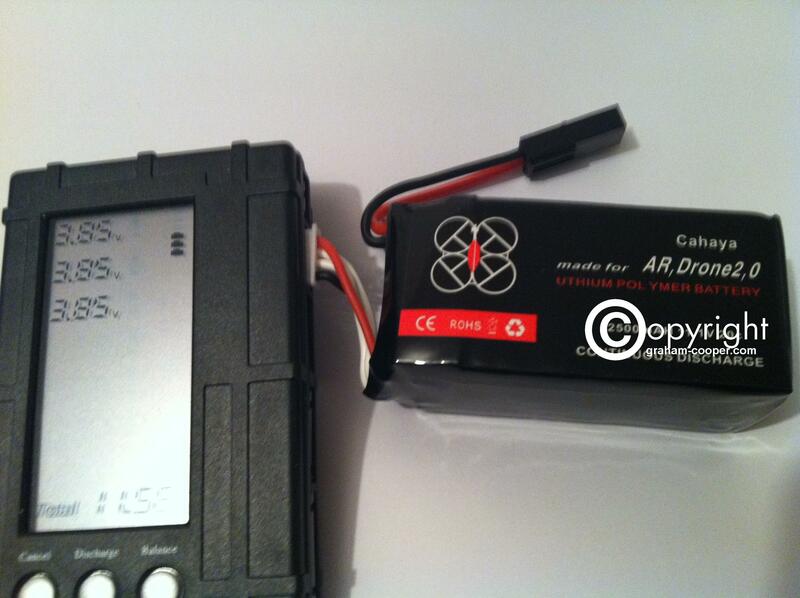 Note: This is for anyone who is new to the AR Drone 2.0 and this battery needs a different charger , and you can not charge this lipo with the standard charger as this Lipo is like most others and it has a balance plug lead. 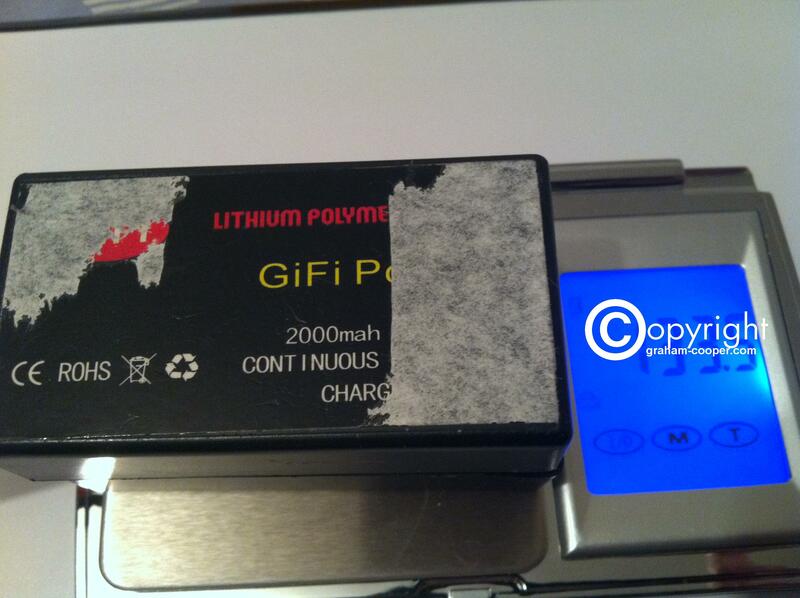 My old GiFI 2000 mah lipo and that was thus far the heaviest Lipo I used. Was getting around 15 mins on that, landing at 30% left. 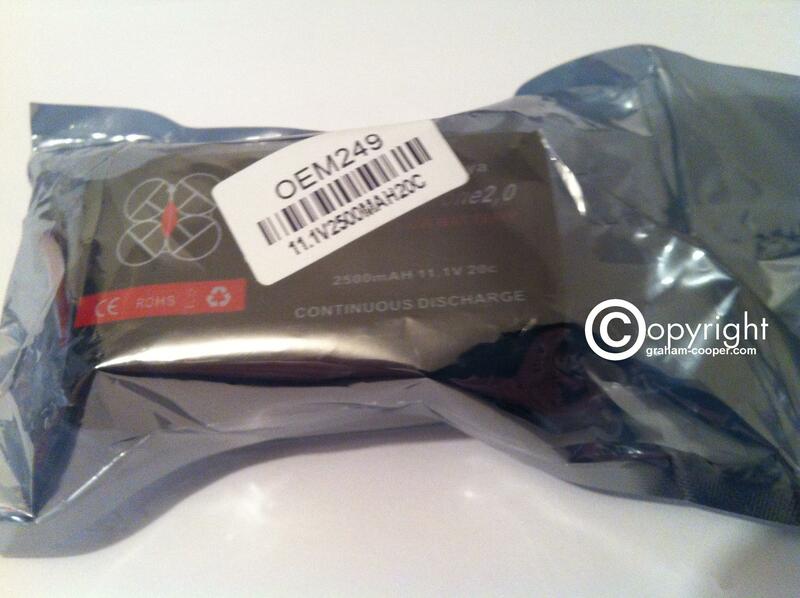 This entry was posted in AR Drone 2.0, Radio Control Models. Bookmark the permalink.